I used to have a blog I wrote during my lunch hour, but that’s only when I have a lunch hour. Of late, I am having many things eat into my lunch hour as I like to work eight hours a day. Sometimes, lunch gets short shrift. Lots of incursion into my blogging time have happened in the last few weeks. Medical appointments. Haircuts. Roofing. I thought it would be easy to dive into the Metabox, but we’ve been waiting, what… three weeks now and it’s still hanging on disc three! Worse, the last big thread I wrote about before that was a hard and painful look at how music is retailed today [if you’re me]. That garnered some fantastic comments but I have been remiss to address them because the 40-60 minute responses that they merited simply wasn’t there at my disposal. I can manage a quick quip on my off time at home but the sort of thoughtful responses those comments deserved went by the wayside as I was very busy working on my off time on a side project I’d love to discuss here… as soon as my NDA expires. And that’s not happening any time soon, so just pretend you heard nothing! Then, there’s the elephant in the room. Tomorrow I head to L.A. to meet with his friends for Ron-Kon II; an epic record store crawl with memorial concerts… [seen above] as well as what I can only term a symposium on Ron, at a record store housing his immortal remains [i.e. his records] as seen below. I’m not really ready for any of this and it will be head-spinning, I’m sure. Maybe in November we can have an epic “Record Shopping Road Trip” thread to cover it all. What I’m trying to say is, it’ll be PPM repeats, if anything, for the next few days here. Hopefully back to Foxx for a fast wrapup. Maybe two more posts [fingers crossed]. This entry was posted in Record Shopping Road Trip, Records I Used To Own, Uncategorized and tagged 2018, Amoeba Records, Ron Kane. Bookmark the permalink. Cary Berger – Welcome to the comments! Likewise, for sure. There were so many people at the first Ron-Kon that I never got to really meet. Were you there? I got a fix on Mark, Warren, Ken… and that’s all I can remember. I hope everything is soul satisfying for you on you RonKon II sojourn. Never apologize about losing time Monk, your blog is one of the essential reasons for the internet to exist as far as I’m concerned. Echorich – I made it through the security pantomime gauntlet (minus my razor blade) and I’m waiting to board. Thanks for the good thoughts. This will be a unique experience. Ron had no funeral so this is it. 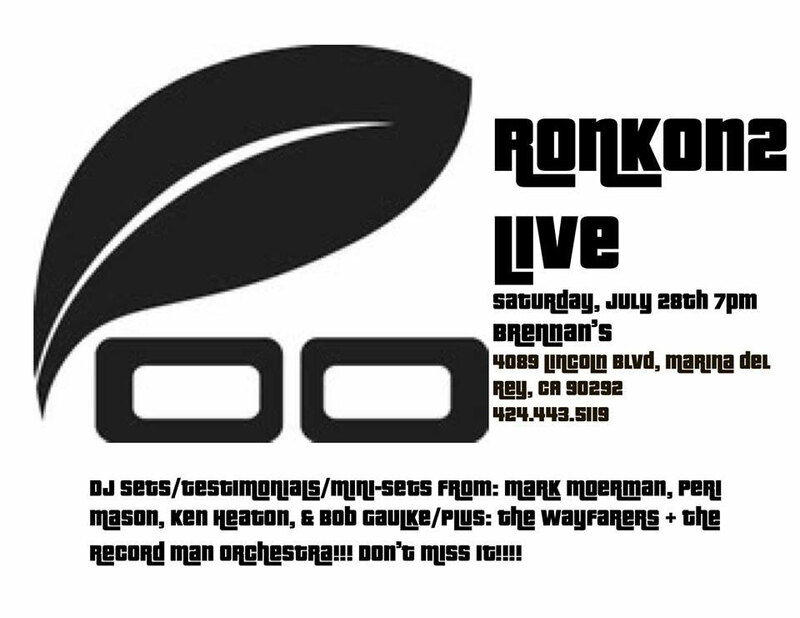 Everyone will be singing along with a Cream deep cut [“Doing The Scrapyard Thing”] that I have never heard of that Ron mentioned more than once he wanted played at his funeral. Of course the band [not Cream] will be live. I think chasinvictoria and i might be among the few attendees who will not be playing in the concert. Yep, on my way as well. 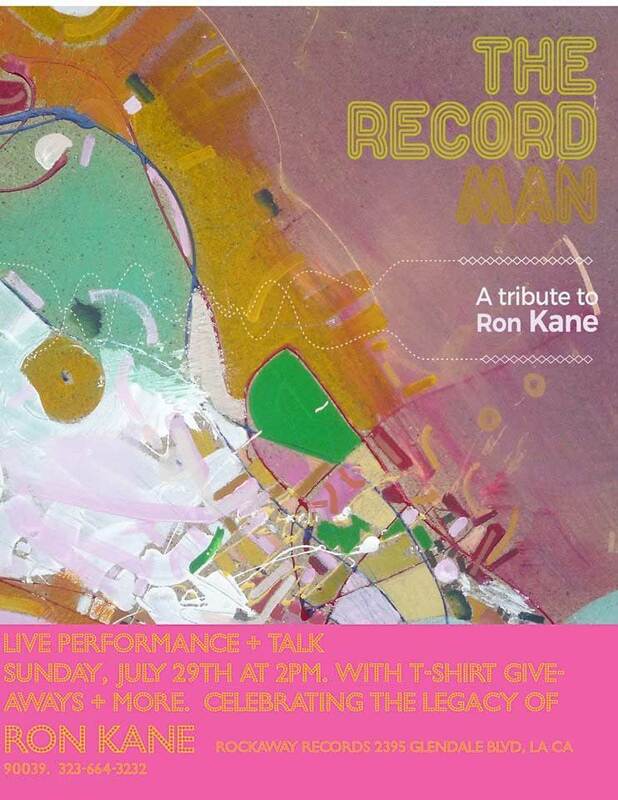 Since many of Ron’s friends are musicians, we’re actually meeting up before the big event to learn some songs including several from the Record Man tribute album. And yes I dug out my nearly 50 year old Cream songbook and have “Scrapyard” ready. This will all be somewhat surreal but I wouldn’t miss it for the world.